Some of my Facebook friends are reporting a bit of stress this morning. And indeed, the stress of a potential power play and/or emotional catharsis is reflected by today’s nurturing Cancer Moon in a face off with ruthless Pluto, exact at 8:11 AM ET. What needs to be released so that something else might thrive? The mood expands — for better or for worse — as lunch approaches, courtesy of a harmony between the Moon and Jupiter. Note the potential for a flash of illumination, a twist or other upset to the status quo around 4:51 PM ET, as rebel Uranus challenges the emotional security-seeking Cancer Moon. From then until 11:42 PM ET, the Moon will be void of course, suggesting a time to not make a mountain out of a molehill. Chill and focus on routine concerns, preferably those close to home. Roll with whatever twists and flakes may disrupt your efforts to move forward in a straight line. If you are new to this forecast and not familiar with the term “void of course Moon,” here’s the 411. TUESDAY and WEDNESDAY are sponsored by the Moon in drama queen Leo. Great for party, a show or for issuing royal edicts. Emotions are on the rise, as the Moon is waxing to fullness in Virgo on THURSDAY at 7:51 PM ET. Before we get to Thursday, however, we have a busy few days of communication flows and challenges, as well as a chance to pour your heart out. In the case of the latter, on TUESDAY Venus in intuitive Pisces will be in harmony with powerbroker Pluto in Capricorn. But wait, there’s more. Mercury (the way we need to think and communicate) pulls focus on WEDNESDAY, challenging a righteously opinionated, boundary-pushing Mars in Sagittarius, exact at 6:56 PM ET. An outburst energy for those walking and talking. Keep an eye on P45, as that Mars will be sitting on his opinionated Sag Moon, opposing his blah blah blah Gemini Sun. Provoked much? If you have a planet or angle around 20 degrees of Sagittarius, Gemini, Virgo or Pisces, you may also feel a wee bit provoked. Count to ten before you lash out. And that includes the horoscope of the United States, too. Transiting Mars in Sag will connect with Mars and Neptune in the USA horoscope. Assertion, anger, scandal, vision, dreams, drugs, oil, fantasy — watch the headlines — and expect the debate over gun control to continue. Later on Wednesday, Mercury will be in harmony with Pluto at 11:40 PM ET. Should be a fine day for investigative reporters. Mercury-Pluto patterns excel at digging up dirt. The Leo Moon goes void at 6:13 PM ET on Wednesday; chill until 12:57 AM ET on THURSDAY, when the Moon enter Virgo to clean up the mess. THURSDAY features the aforementioned Full Moon. In Virgo, its mission is to refine, organize and make things perfect. A lovely harmony between Venus and Jupiter, exact at 6:22 AM ET, gets that day off to an amiable — dare I say generous — start. 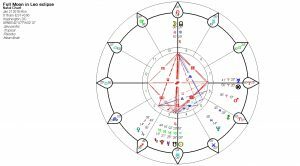 Another easy flow between Mercury and Jupiter, exact FRIDAY at 8:05 AM ET, facilitates big news in publishing, legal affairs and other systems of collective beliefs. By then we’ll be seeing manifestations of rose-colored glasses to the max. Why? Because on SUNDAY the Pisces Sun makes its annual meet-up with visionary Neptune, and Mercury meets up with Venus. The two together scream “idealism! !” — to be expressed prominently in matters of women, money, art and social expression the following week. Watch how those themes will be reflected in the Academy Awards. What are your plans for a dreamy weekend escape? Moon goes void at 6:50 PM ET on FRIDAY; West Coasters can skip out early. Don’t know where your planets are? Why not make an appointment for a personal consultation? Really, there’s too much going on in the cosmos to remain clueless about how it likely to impact YOU. Now is the time to plan a strategy for the rest of 2018 — and beyond. In the aftermath of the Never-Ending Uranus-Pluto Square of 2011-2016, autocrats rule. Now it’s President Xi of China joining the Men Who Would Be King Club. Yesterday the Communist Party announced it was abolishing constitutional terms limits. 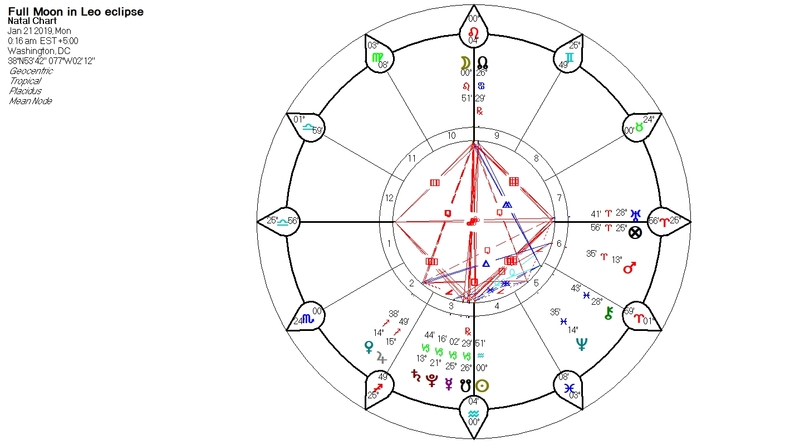 And why not, on a day with Sun (leaders) in harmony with Saturn (authority, structure), with the Cancer Moon about to be challenged by power-grabbing Pluto? Xi’s birth date is unconfirmed, though it is reportedly June 15, 1953. That would make him another double-talking Gemini whose horoscope was under a streamlining squeeze all last year, as Saturn opposed his Sun. Moon in either regal Leo or Cancer. Mars at 0 Cancer — the prominent Aries Point. We can watch for prominent initiatives from him next week. Also — the American Dream is still alive for those currently threatened by the destruction of DACA. SCOTUS refusedto hear the P45 Administration’s argument on why it should be permitted to strip Dreamers of their protected homeland status. On the front page — a special report — The Drowning Coast. Sports Sunday — Raw Octopus That Quivers? Don’t Mind If I Do — on the front page! Of the SPORTS section?! Sunday Styles — front page — actress Heather Graham’s new film is called “Half Magic.” It’s a rom-com about sexism (Venus in Pisces square Mars in Sag) in Hollywood (Neptune). Obituaries — Sridevi Kapoor, Bollywood’s First Female Superstar, Dies at 54 She drowned in a hotel bathtub. What do you think? Coincidence or conspiracy? Next Sunday I expect we’ll have more of the same, with Neptune pulling focus in planetary patterns.